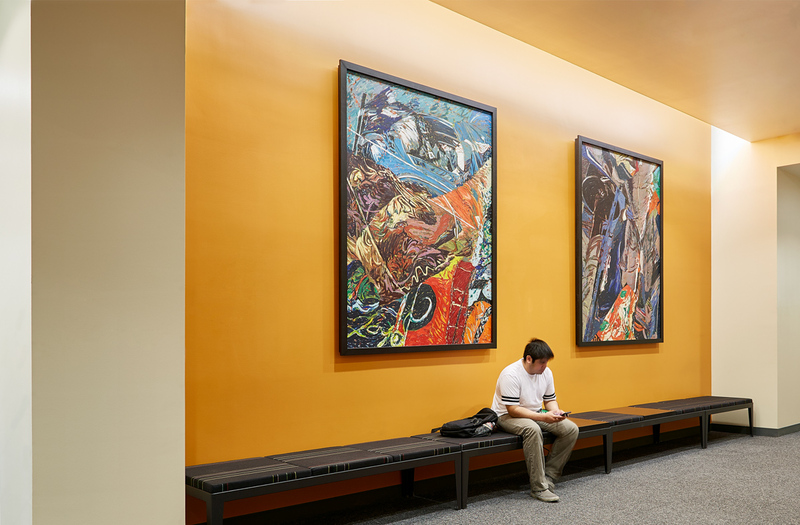 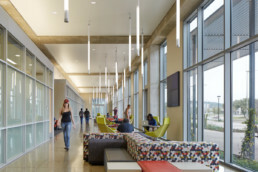 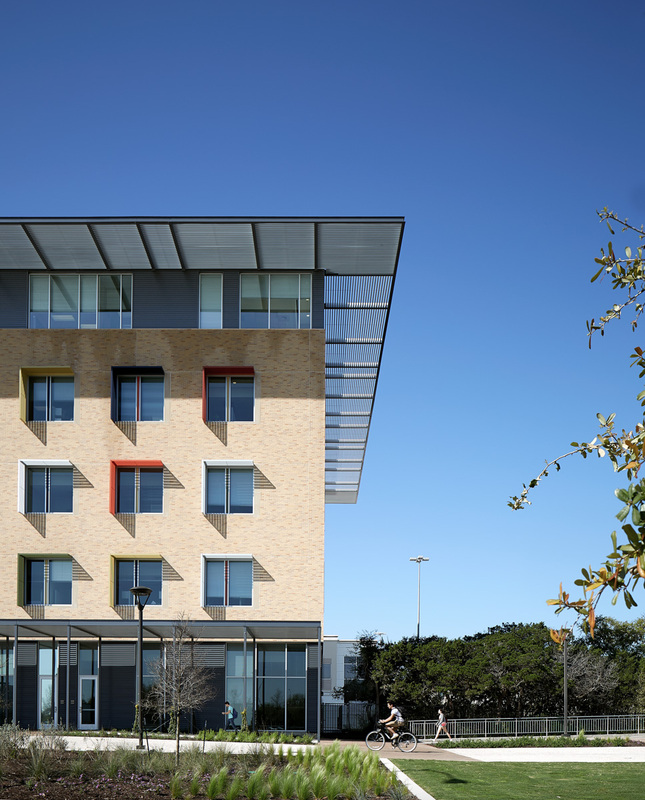 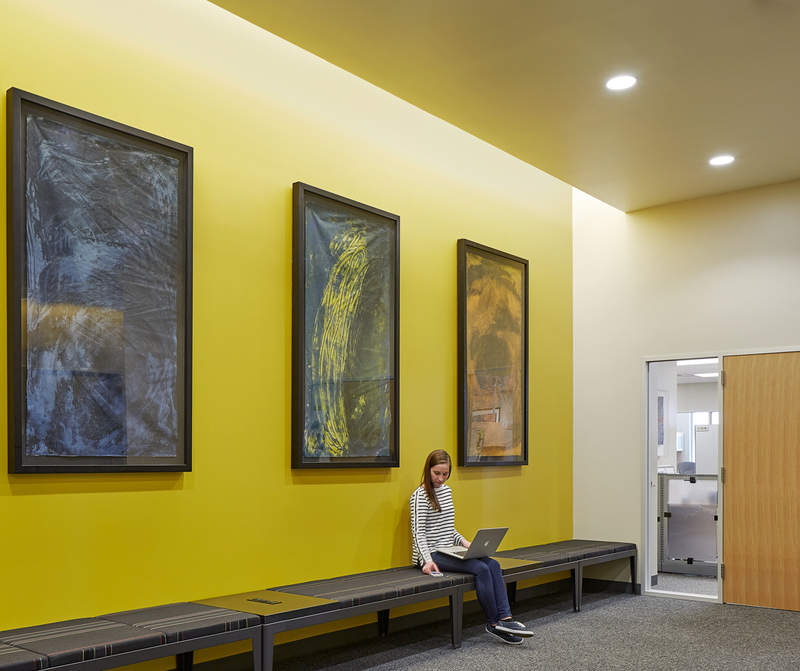 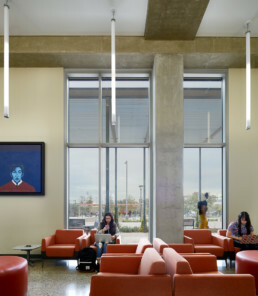 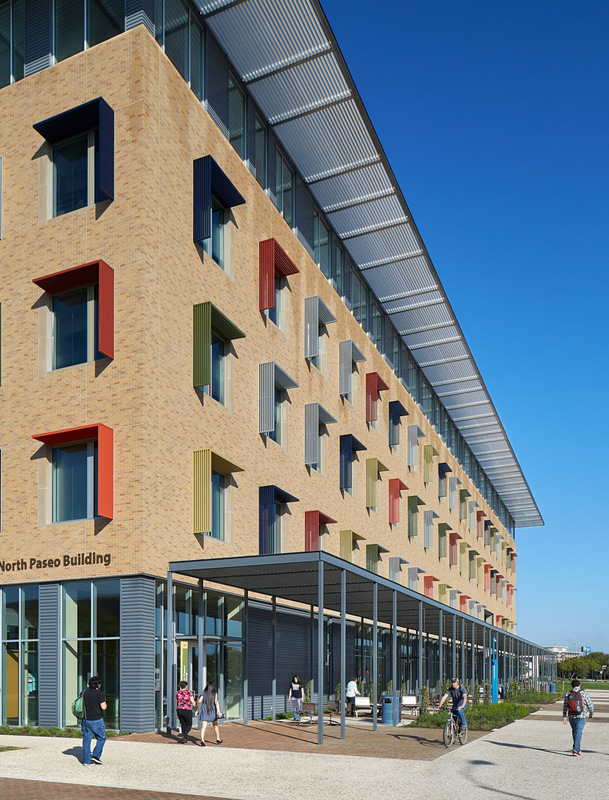 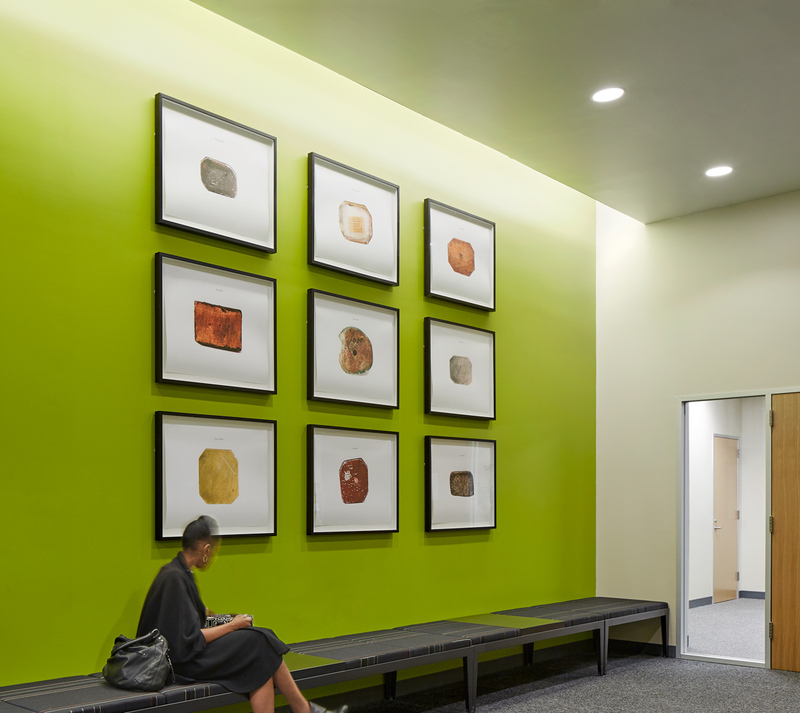 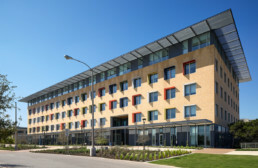 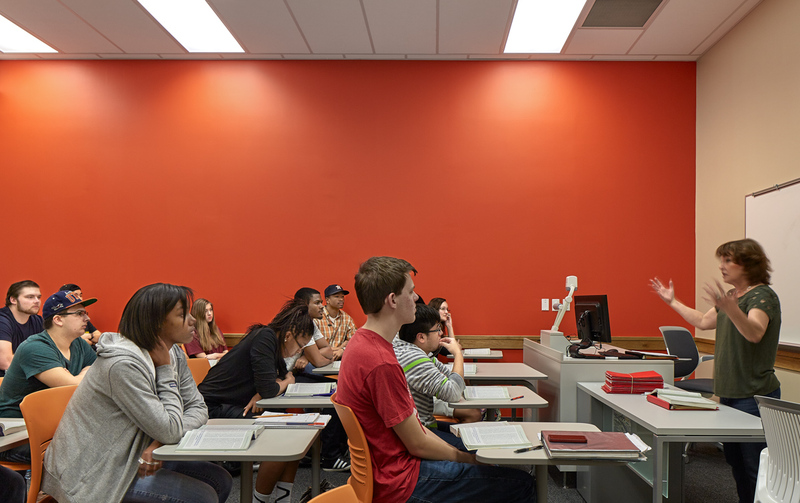 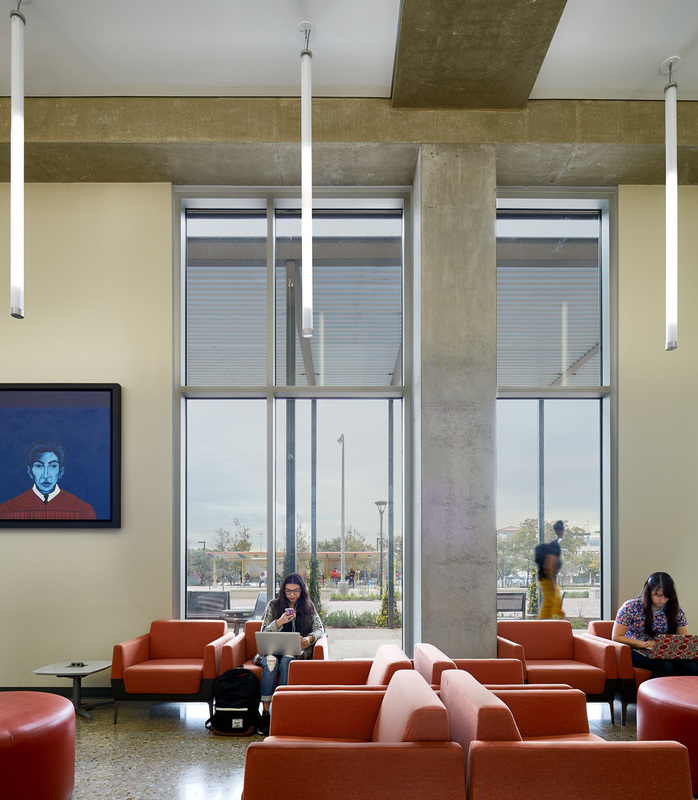 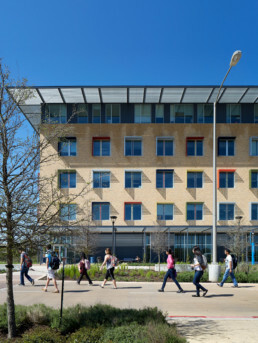 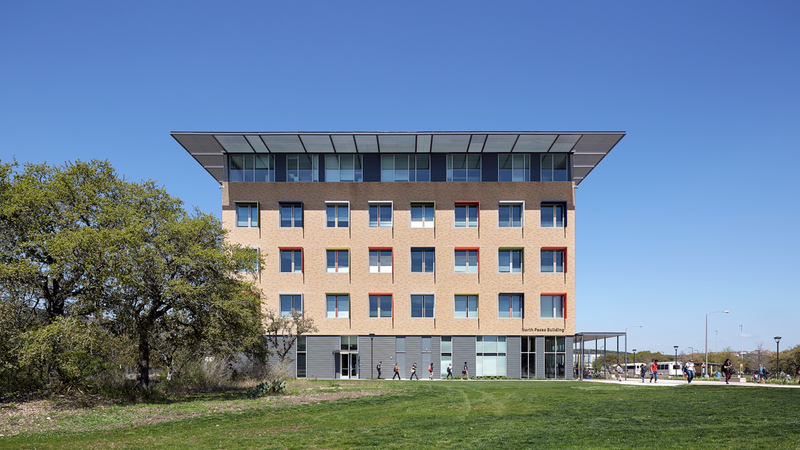 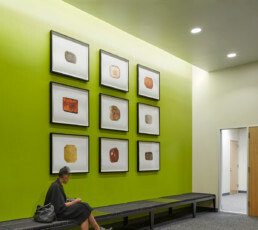 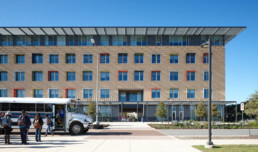 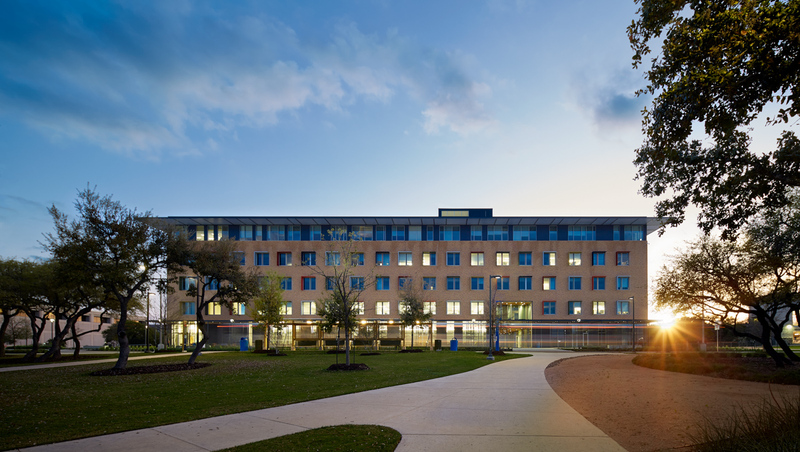 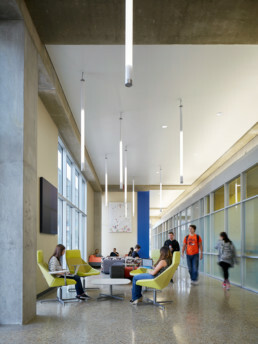 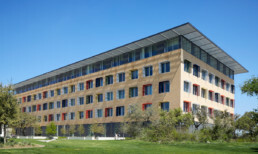 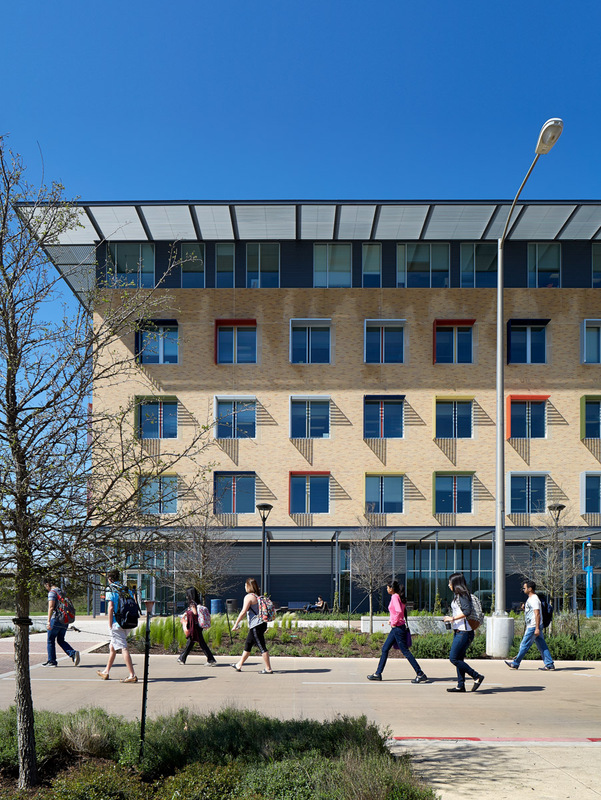 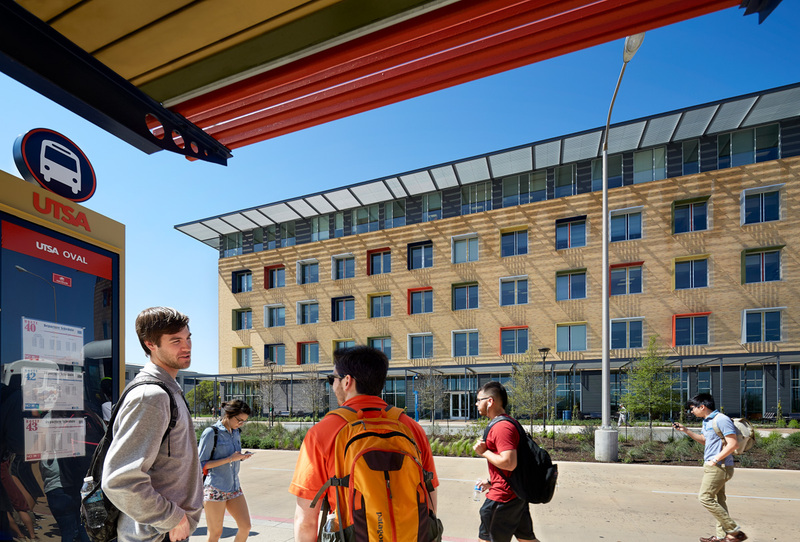 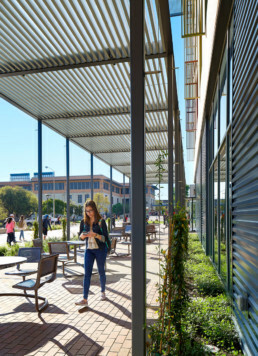 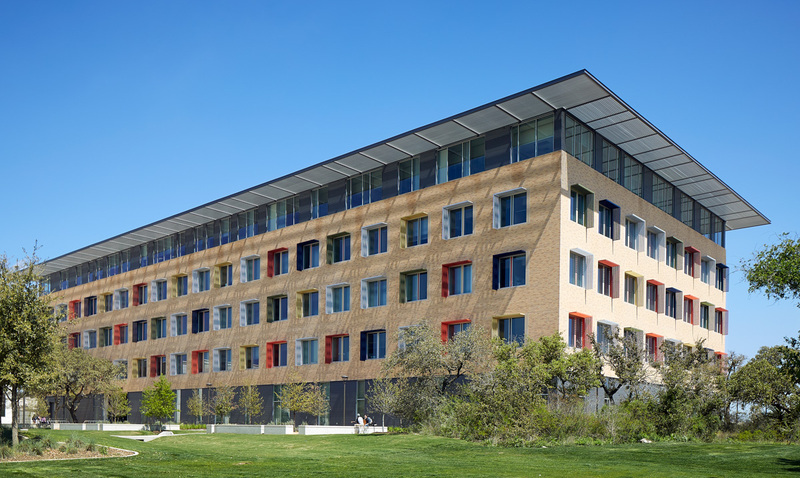 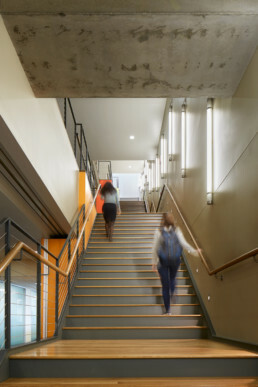 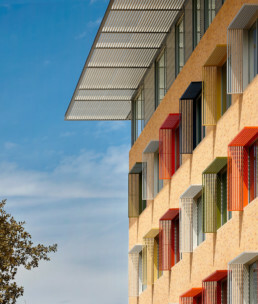 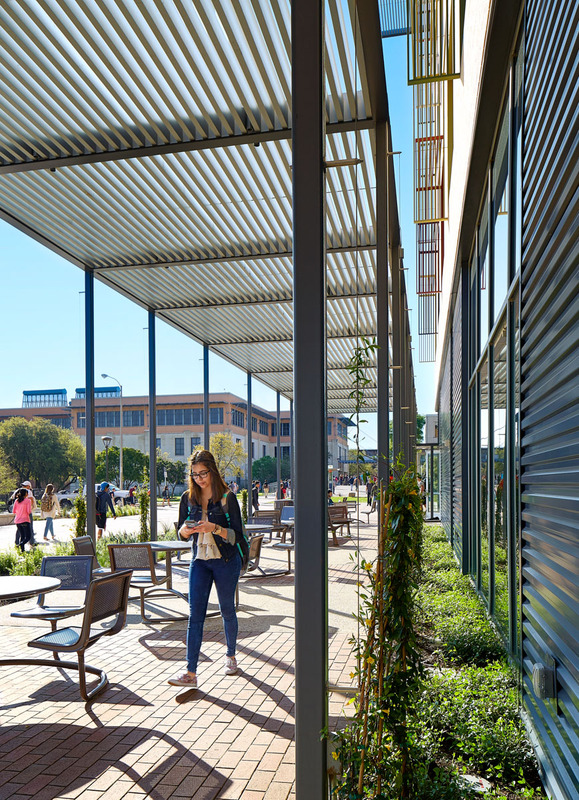 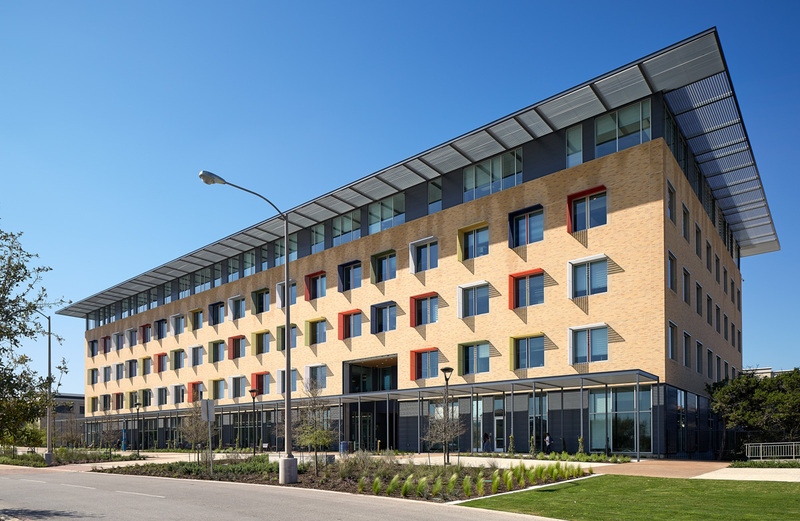 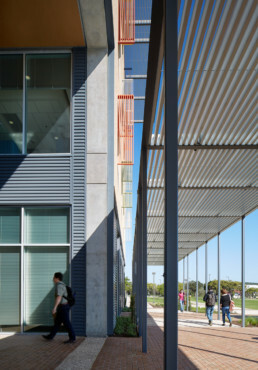 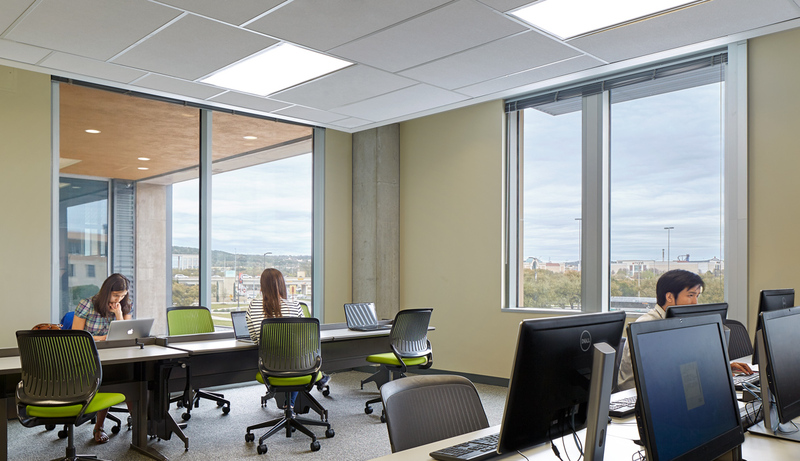 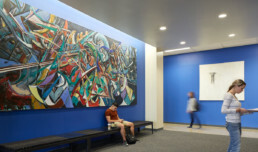 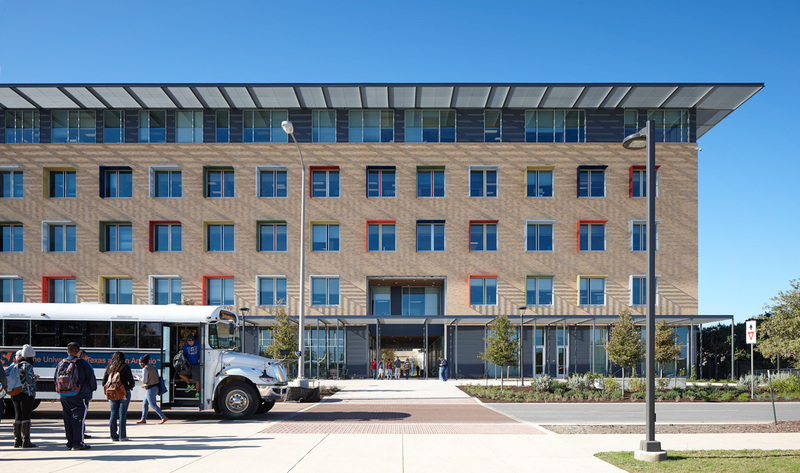 The North Paseo Building helps shape a new district on the UT San Antonio campus through its strong urban design components and offers a fresh look at relationships between indoors and outdoors and between teaching spaces and public spaces on university campuses. The building is prominently located at the front door of the campus in the developing northeast end. 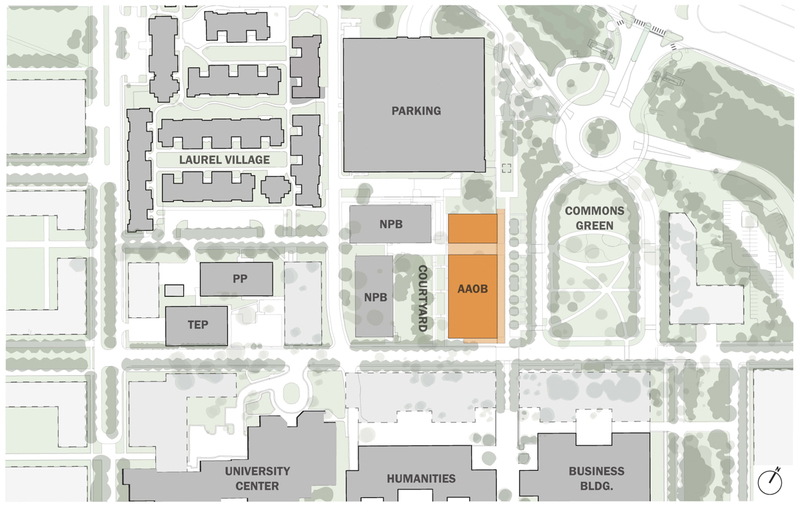 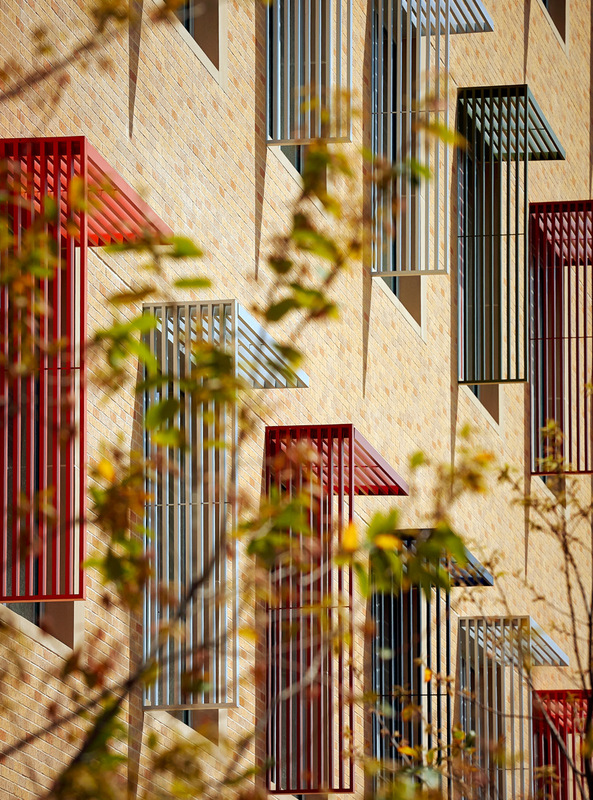 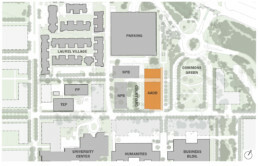 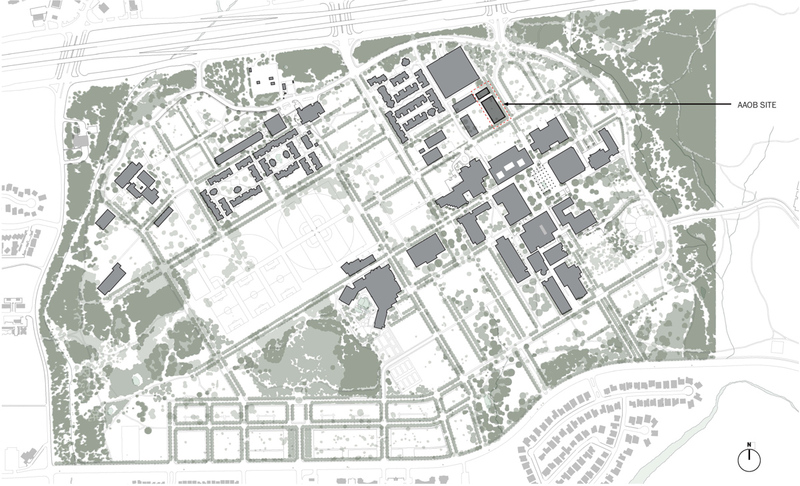 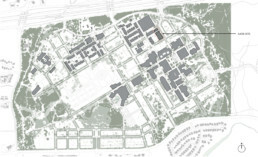 It faces the new Campus Oval and is carefully knit into the framework established by the Campus Master Plan. The project reinforces the new North Paseo as a major pedestrian thoroughfare along its eastern edge as well as providing a generous sallyport connection for pedestrian flow east-west from the Oval to a recent community of student housing. The building works with its L-shaped neighbor to the west to create a nicely scaled courtyard with pedestrian circulation on two sides.